Hi, me, me and me! Hi, I'm Armorious! 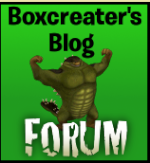 I'm new to webosaurs and found the forum on box's blog. Box was the first Dino I ever talked to. Hello hello! Welcome to the forum! Be sure to read the rules! And post awesome updates! Have fun! Hey armorious! It seems that I met you only yesterday. So glad you have joined! Be sure to read the rules and have fun! Please feel free to ask anything. I will boost you up with 20 points for a head start! Hey there armorious! Please read the rules before posting away! Re: Hi, me, me and me!